Westcott Scissors 2-Pack Just $2.12! Down From $13! You are here: Home / Great Deals / Amazon Deals / Westcott Scissors 2-Pack Just $2.12! Down From $13! 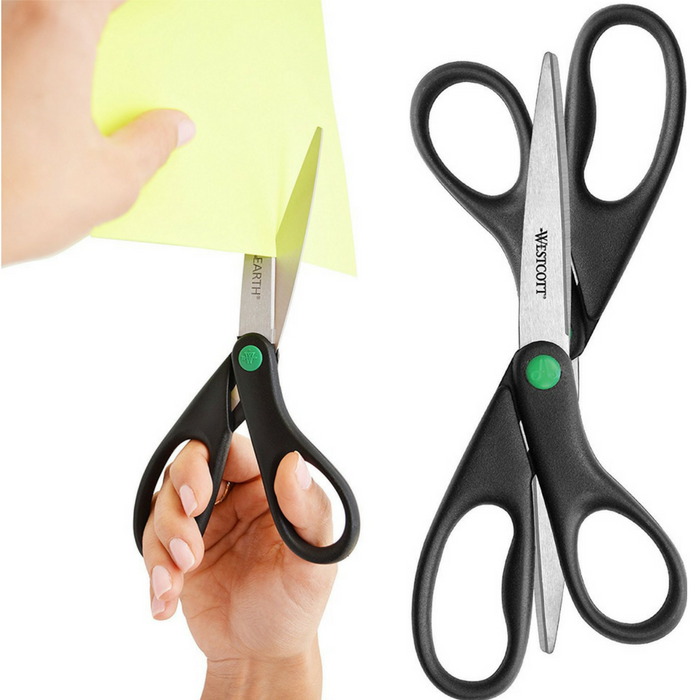 At Amazon, you can score this Westcott Scissors 2-Pack for just $2.12 down from $13.39! Please note that this is an add-on item and will ship with a qualifying order of $25! Westcott KleenEarth recycled scissors have sharp, lightweight stainless steel blades and handles that are made from 70% recycled plastic and 30% post-consumer content. These reliable, durable scissors are good for the environment. Westcott develops home and office products unmatched in style, design and performance. We continue to deliver results that are both inspirational and functional.